Have a Vibrant? Get your Froyo! 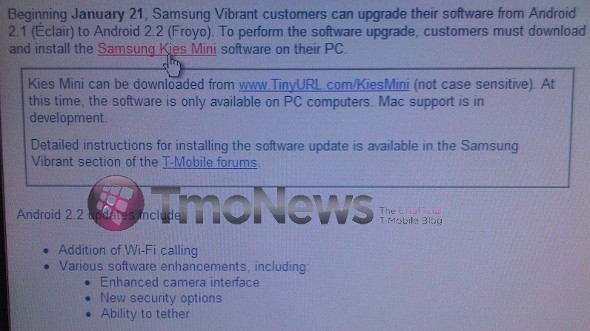 According to TmoNews Froyo is finally available for the Samsung Galaxy S Vibrant on T-Mobile. It's taking a long time for the Galaxy S phones to get Android 2.2. I'm glad to finally see it coming to the Vibrant. Have you gotten it? How's it working for you?